Illustrated. 388 pp. Touchstone. $28. Three years ago, I toured Biltmore House, the 175,000-square-foot mansion in Asheville, N.C., that, on completion in 1895, became America’s largest private home. I found the labyrinth of rooms and architectural detail both intimidating and soulless. I recall thinking that, had I been alive and deemed suitable to merit an invitation in its heyday, I would have preferred one of the 66 bedrooms designated for the servants, in which I’d be less likely to get lost. 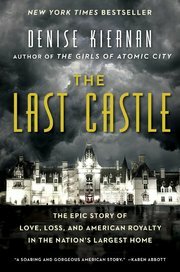 In “The Last Castle,” Denise Kiernan tries to reveal the answer to what is surely the greatest mystery for any of Biltmore’s million annual visitors: Who, exactly, conceived of such a huge undertaking? What kind of bachelor really wanted to inhabit a 250-room house, replete with an indoor swimming pool and bowling alley? All eyes, inevitably, are on young George from the first chapter of “The Last Castle,” but he never lives up to our expectations, no matter how hard the author tries. Kiernan, who lives in Asheville, recounts her difficulty in finding original sources that reveal much about Vanderbilt. But, one wonders, even if all his letters had been kept, would he have been worth her while? While single, Vanderbilt had decided to outdo all his friends on the so-called Four Hundred — the Gilded Age’s equivalent of the 1 percent — by building himself a monster mansion in Asheville, where the air was good for his health. 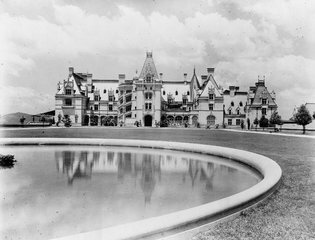 The name Biltmore, it emerges, is a compression of “Bilt,” an ancestral name, and “moor.” Vanderbilt stamped the name not just on his own land but on local institutions like the post office — a gesture that, unsurprisingly, met with “Anti-Biltmore” protests and complaints about “snobbery.” Chiefly, then, the estate was a vanity project, one that turned out to be financially disastrous despite the best efforts of Edith, whom he eventually married and who was central to creating the flourishing artisan business that remains the heart of Asheville today. Vicky Ward is the editor at large for HuffPost, Huffpost’s Highline and Town & Country. Her third book will be published next year.